In partnership with the YMCA of the USA and with funds from the United States Agency for International Development (USAID), the YMCA of Lebanon implemented an integrated production-processing-marketing supply chain program called Stimulating Markets and Rural Transformation (SMART). The 3-year program ran from 2002 to 2005, and focused on creating job and income generating opportunities for women in rural areas of Lebanon through the establishment of food processing centers/cooperatives and production farms. 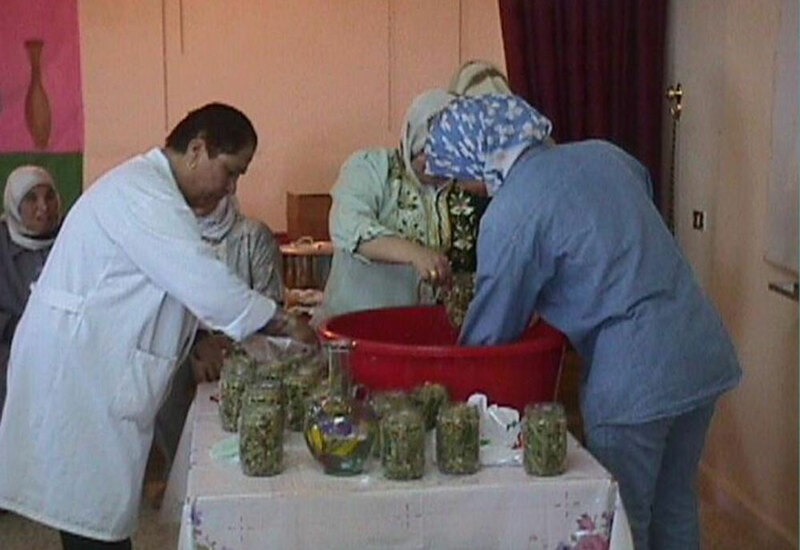 The women produce, process, and market food products to generate earnings as cooperative shareholders. The SMART program succeeded in providing rural women with the means for sustainable self-reliance. Stimulating Markets and Rural Transformation (SMART) was a three year development program funded by the United States Agency for International Development (USAID) and implemented by the Young Men’s Christian Association (YMCA) in Lebanon. SMART was a comprehensive package aiming at various targets and objectives in the rural counterpart of Lebanon. Mainly, SMART was a rural women empowerment scheme through income generation opportunities in the agri-business field. The program tapped on a wide network of partnerships, especially with the private sector through business development centers. In order to achieve the program goals, the YMCA established small food processing centers and production farms owned and managed by rural women. Hence, women were trained on food processing and preservation, management, marketing and food safety. Each group of trained beneficiaries formed a local cooperative that assumed the full control over the centers and farms initiated under the program. The processing centers and production farms were fully equipped to boost the women’s productivity and enhance their products quality. A centralized marketing cooperative, Atayeb Al Rif, literally Rural Delights, was established for the main purpose of promoting sales under a unified brand name and a wider national and international outreach. Hence, all centers and farms sell their products, mainly but not exclusively, to this umbrella organization. As such, Atayeb Al Rif, the central beneficiary under the program, became the leading business development implementer to all local cooperatives along with its business partner, Mafco. The latter is the business venture that joined forces with Atayeb Al Rif to promote sales and marketing of the brand name. SMART trained more than 1600 women, completed the construction and rehabilitation of 37 centers, set up five farms and launched a tasty and attractive product on the market. Most importantly, sales under the program reached nearly 900,000 $US with investment returns estimated at 100 $US per month for a previously unpaid rural housewife.